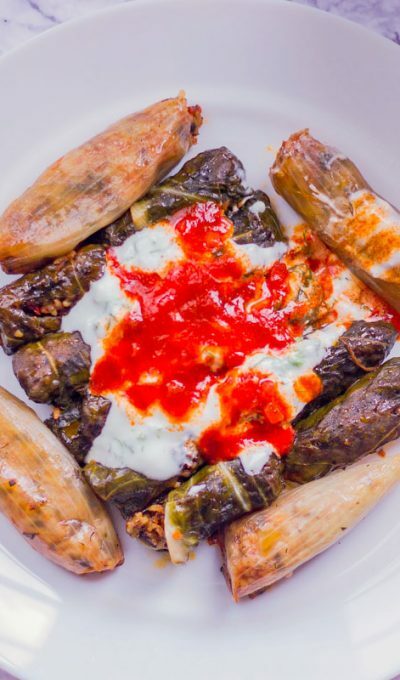 I’m excited to be sharing my Swiss Chard Dolma recipe today! 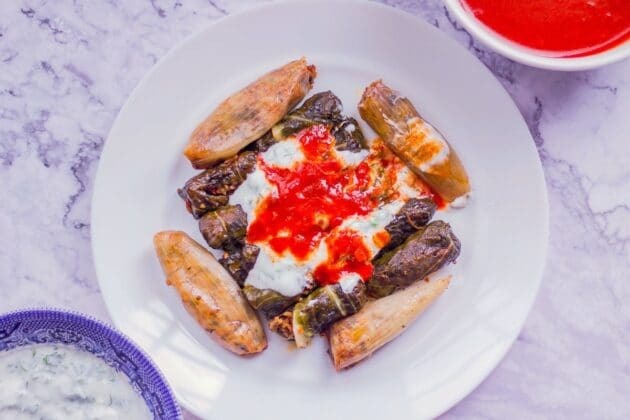 Of course, you’ve heard of grape leaf dolma, and cabbage dolma, but have you heard of Swiss Chard Dolma? 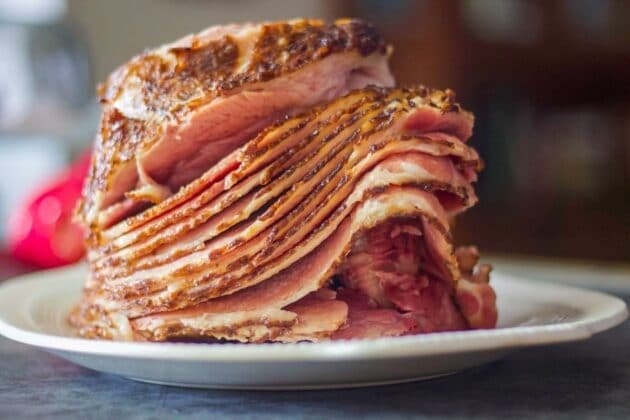 Every year, I bake a ham for Easter; and every year it’s such a chore. Not because baking a ham is hard to do, it actually couldn’t be simpler. Honey mustard sauce is perfectly paired with baked ham. Not overly sweet, and packed with flavor, it takes a plain ham to a whole new level. Easy Lemon BarsIf you enjoy lemony treats as much as I do, you’ll love this Italian Limoncello Recipe. 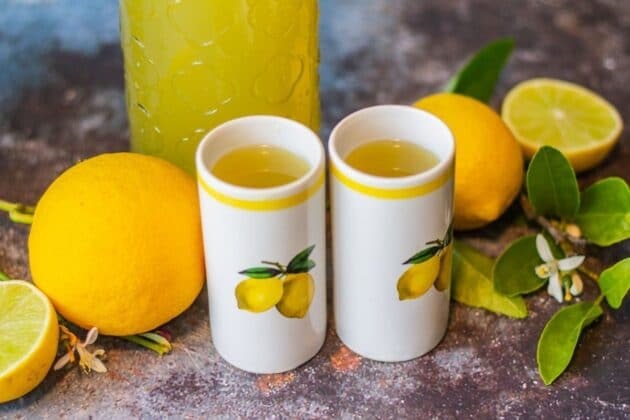 Italians consume Limoncello as an after-dinner digestive, while the rest of us appreciate the intense lemony flavor with a surprising kick! Do you love rich and creamy soups? 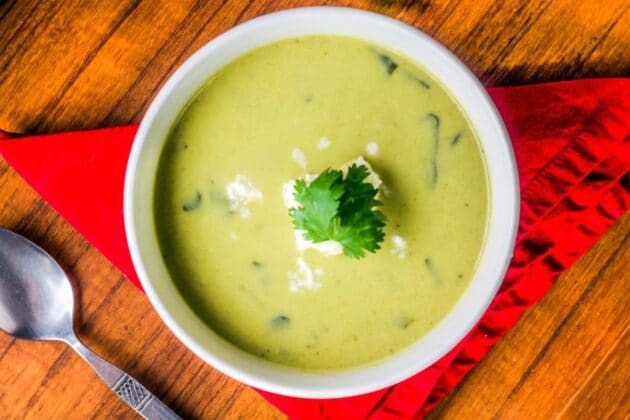 If so, get ready to fall in love with this delicious Poblano Soup! 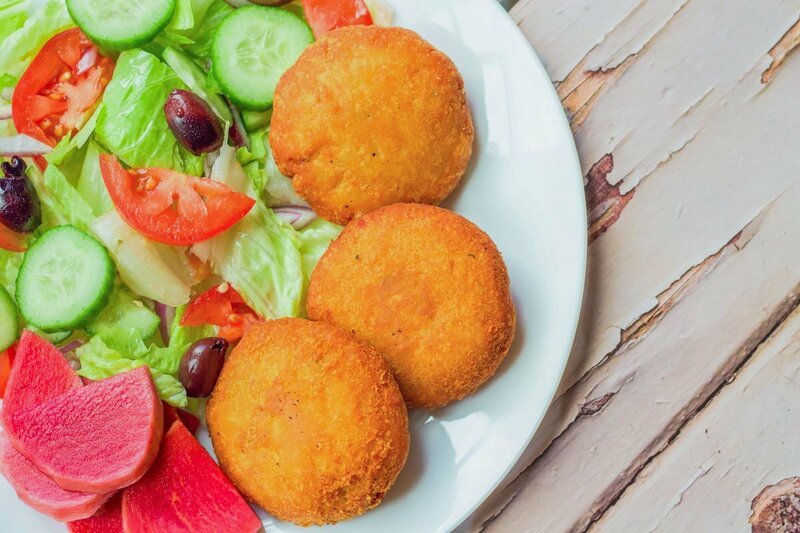 I’ve been planning this post for months and very excited to finally be sharing my Potato Chop Recipe with you! “Nougat” Bars might not sound very Middle Eastern, but the origin of nougat, in fact, is. 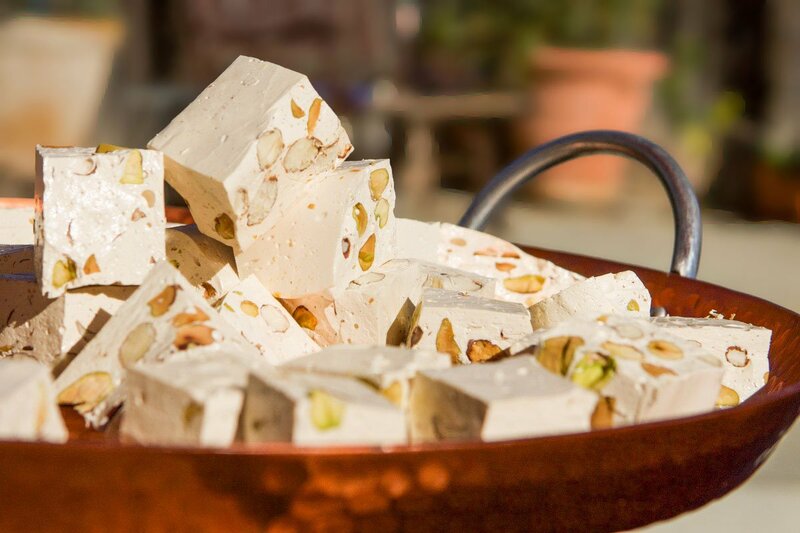 You see, the earliest nougat recipe was found in a Middle Eastern book in Baghdad, dating back to the 10th century. Looking to kick up your game with a tasty and healthy dip for Super Bowl? 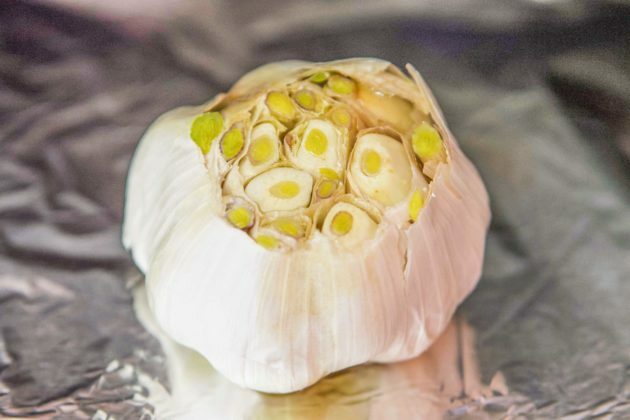 Have I got the perfect recipe for you! You’ll score big with this healthy Dill Dip For Veggies recipe. 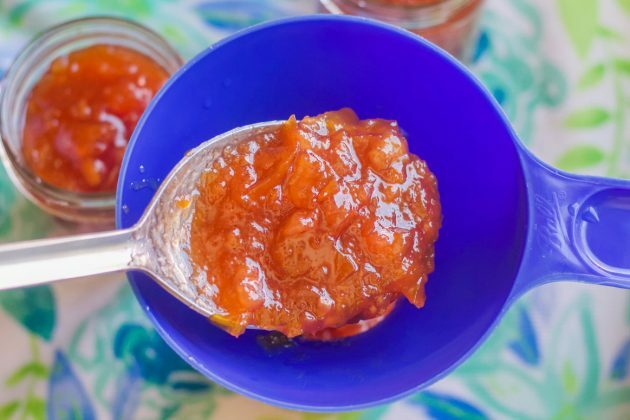 If you love dates, you’re in luck! 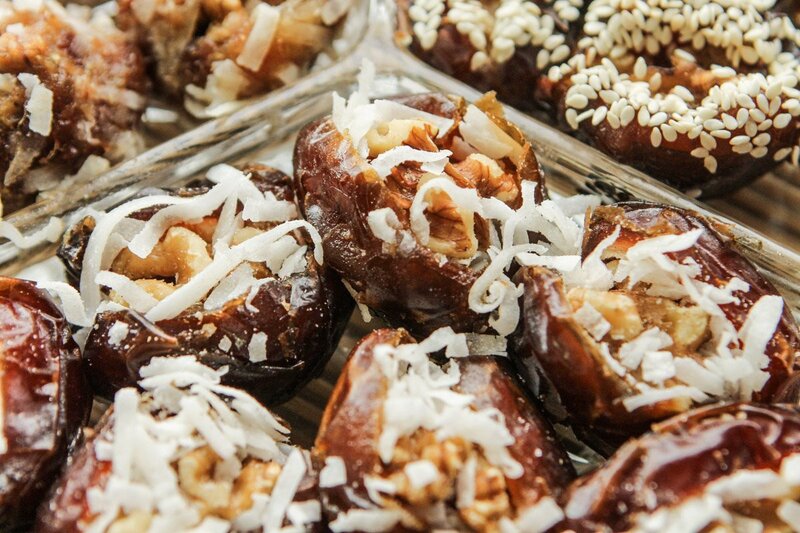 I’m about to share with you everything you need to know about my Easy Four-Ingredient Stuffed Dates recipe!